A founder of Ashtanga yoga tradition Sage Patanjali in 500 BC wrote a text containing 196 Sutras in Sanskrit which is known as Yoga Sutras. One sutra forms one statement. But the statements are in Sanskrit. Sutras are very compressed as far as meaning is concerned. So to explain and understand these Sutras, it takes lot of efforts and knowledge of Sanskrit but also understanding of the philosophy of yoga. I - Samadhi Pada – 51 Sutras. II – Sadhana Pada – 55 Sutras. III – Vibhuti Pada – 56 Sutras. IV – Kaivalya Pada – 34 Sutras. So the meaning is “Now is the discipline of yoga”. Second sutra is definition of Yoga. Yoga is to control the modifications of mind or functioning of the mind. Third Sutra is about ultimate achievement of Yoga. After that (Control of functioning of mind) the seer establishes himself in to true state of being. Also Patanjali talks about seven paths to achieve the goal of control of mind. One of these is Omkar chanting. In the first chapter Patanjali also explains the different types of Samadhi (ultimate state of achievement in yoga). Nirbija Samadhi is the ultimate state of achievement in Yoga. 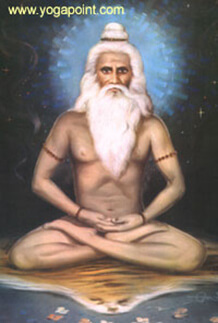 In the second chapter, Patanjali explains the tools and techniques to achieve the ultimate goal of Yoga. All eight parts of Ashtanga yoga are explained by Patanjali in this chapter. Yama – Social Discipline, Niyama – Self Discipline, Asana – Yoga poses, Pranayama – Breath control, Pratyahara – sense withdrawal, Dharana – concentration, Dhyana – meditation and Samadhi – self-realization are 8 steps to yoga. But in this chapter the focus is on first 5 steps. Remaining 3 steps of Dharana – concentration, Dhyana – meditation and Samadhi – self-realization are discussed in details byt Patanjali. All three together is called Samyam. Samyam on different objects leads to different achievements which are called Siddhies (perfections).